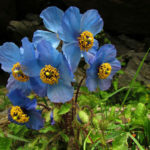 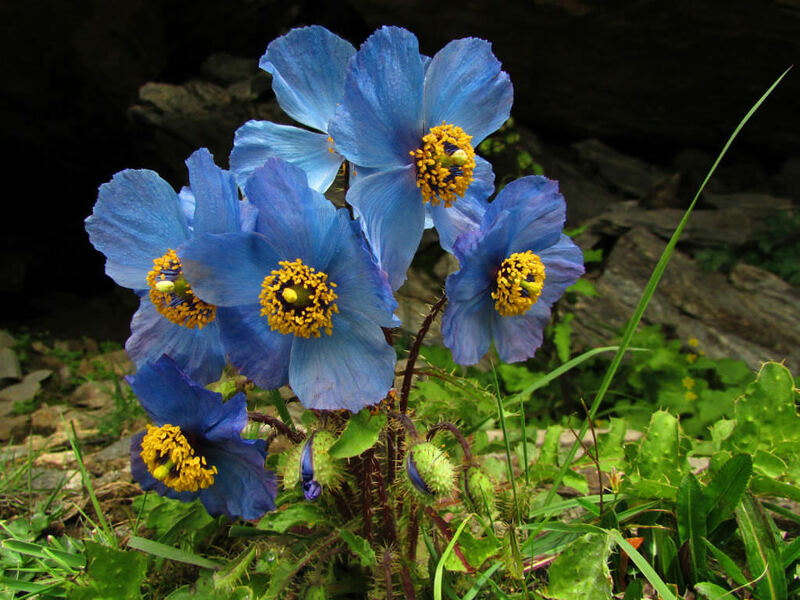 Meconopsis aculeata is a biennial or monocarpic with a prickly stem, up to 2 feet (60 cm) tall. 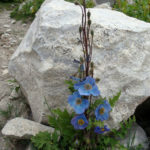 Basal leaves are up to 10 inches (25 cm) long and to 2 inches (5 cm) wide, irregularly pinnatifid, bearing straw-colored spines. 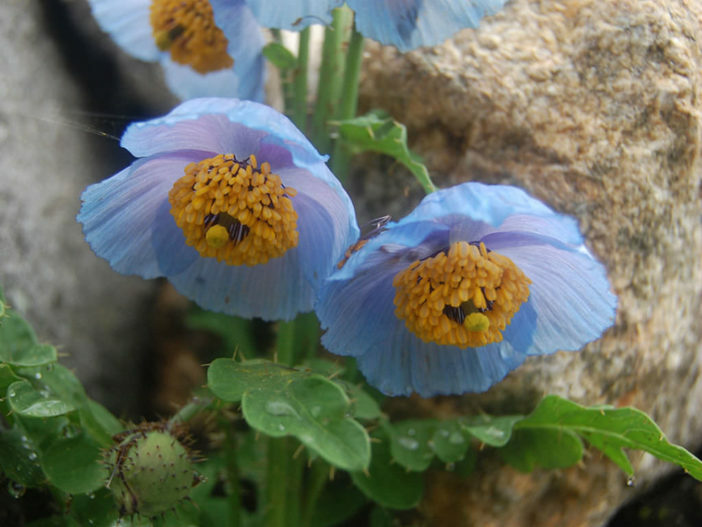 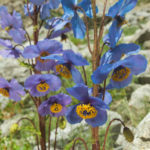 Flowers are 4, sometimes 6-petalled, up to 3 inches (7.5 cm) across, sky blue, often overlaid with iridescent purple. 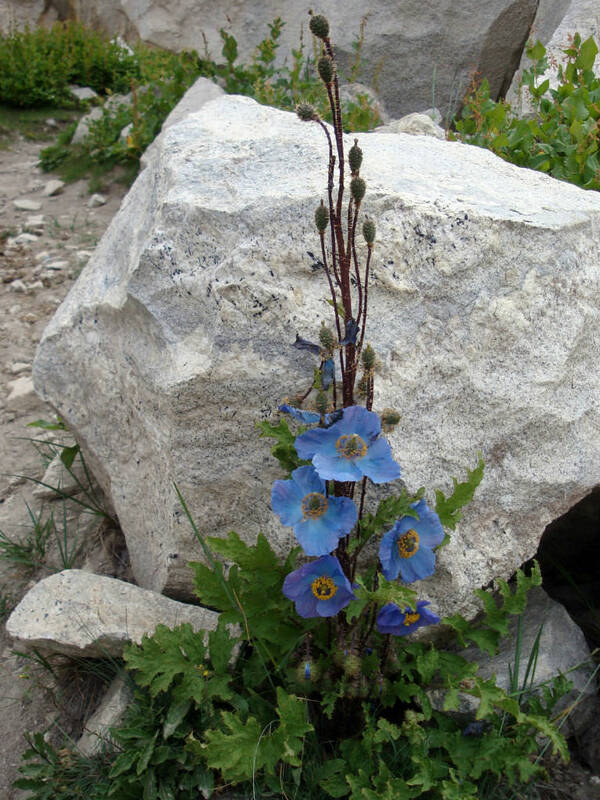 USDA hardiness zone 6a to 9b: from −10 °F (−23.3 °C) to 30 °F (−1.1 °C). 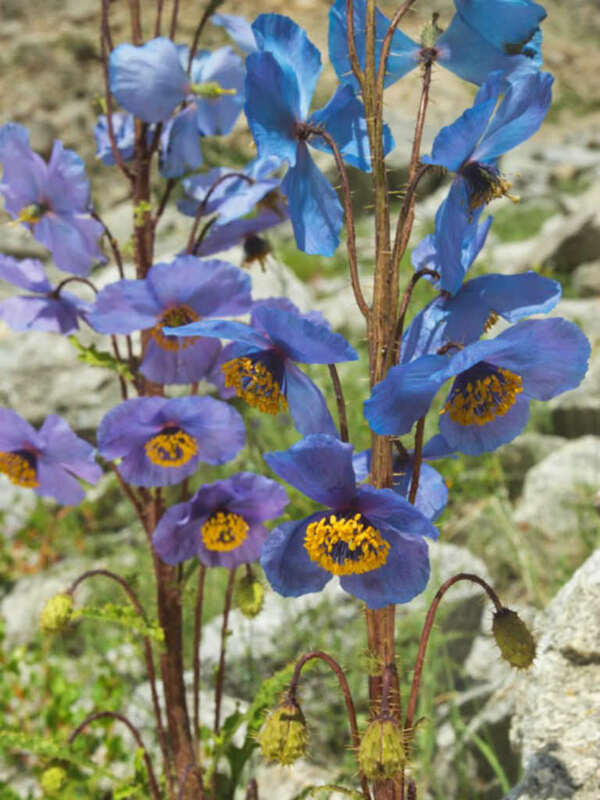 Native to to specific areas of Pakistan and India, in the west Himalayas.